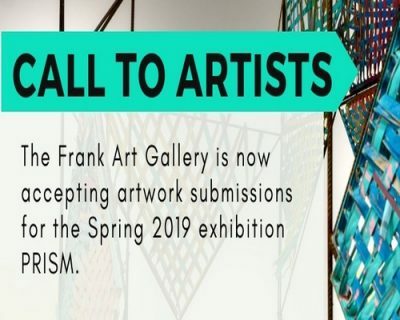 The Frank is accepting artwork submissions for the Spring 2019 exhibition PRISM, a multidisciplinary exploration of diversity and LGBTQIA identity through art. Acceptable works consider diversity of any kind, celebrate differences and commonalities, and investigate LGBTQIA identity. Artists may be at any stage in their career. All media will be considered, including but not limited to visual arts, site-specific installation, performing arts, literary arts and more.